IDLIB: As we told you in our last post, Abu Muhammad Al-Jawlaani is in critical condition being kept alive by Zionist shamans using advanced medical equipment flown in from northern Occupied Palestine by helicopter. The flights were tracked by Russian ships but were sufficiently outside Syria’s internationally recognized coastal barriers such that no action could be taken. According to my source in Latakia, the fate of this decrepit monster is of great concern to the Syrian High Command in that his injuries and eventual death will have a great impact on the terrorist morale especially now that Turkey appears to be leaning in favor of the proper cause. This is why, the terrorist web sites and their supporters are claiming Al-Jawlaani is alive and well. This is precisely the kind of propaganda used by the Taliban to cover up the death of their own Mullah ‘Umar. It’s the same tactic used by ISIS to conceal the death of the Caliph of Cockadoodledoo. All of this leads right back to Tel Aviv where the puppet-masters are concocting the lies designed to buoy up collapsing morale in the ranks of their terrorist allies. One of the big pieces the Zionists will not be able to cover up is the constant chatter on cellphones used by the rodents to describe the situation with Al-Jawlaani. If he is so well, why do they continue to discuss a successor? DAY EL-ZOR: It’s official. The army is inside Al-Mayaadeen City protected by the Russian Air Force. The army entered the city right past the Automated Bakery yesterday and began to push into the western side. The rats, not geared up for such a swift advance, began to leave their positions in the direction of Al-‘Ashshaara, a town between Al-Mayaadeen and Al-Bu-Kamaal. 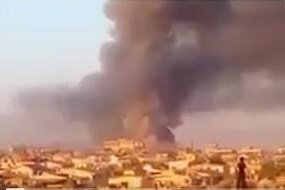 The army has confirmed the killing of an entire platoon of “suicide bombers” undergoing their last rituals before they were supposed to drive trucks into the armor of the Syrian Army. 3 booby-trapped vehicles were also spotted and destroyed as sappers began the process of dismantling mines, IEDs and booby traps. The toll so far in Al-Mayaadeen is 80+ rodents killed, 9 of whom were from the northern Caucasus, 18 pickups with 23mm cannons and 3 warehouses for weapons and ammo. The Russian Defense Ministry gleefully identified 3 Chechen field commanders who were killed as: Abu ‘Umar Al-Shishaani, Abu ‘Alaa` Al-Deen Al-Shishaani and Salaah Al-Deen Al-Shishaani. The army has also entered the village of Hatla and is involved now in hand-to-hand combat with spooked terrorists, some of whom are surrendering without a fight in the belief that maybe God is not going to open the doors of Paradise for them. At Al-Bu-Kamaal, right on the border with Iraq, the Russian Air Force conducted multiple sorties killing 40 Tajik and Iraqi ISIS terrorists, destroying a c&c center and 7 pickups with 23mm cannons. South Dayr El-Zor City. We can confirm that 67 rodents were killed by a combination of artillery and infantry around the area of the Al-Siyaasiyya Bridge. These mostly Egyptian and Tunisian vultures were charged with the defense of several ISIS strong-points. Also going up in flames were 12 pickups with 23mm cannons. 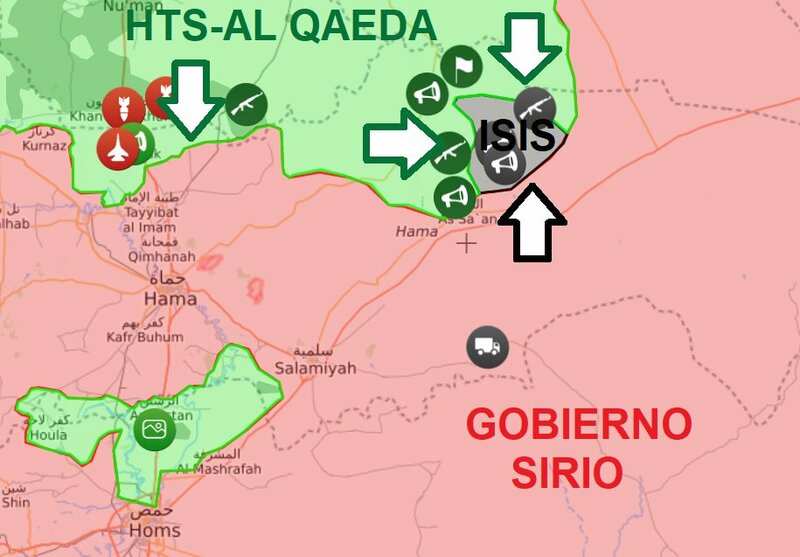 It appears that with so much territory being lost by ISIS in addition to attrition within its ranks and the movement of terrorists to Africa and Afghanistan that the fight is almost over for ISIS. Alqaeda is a different matter in Idlib where the Turks can be expected to both delight and depress the Russians and Syrians. Let’s see how Al-Jawlaani does over the next few days. Jawlani’s death means nothing to these al-Qaeda Jihadists. They will be demoralized for a day or two, and then go about with their agenda. They are fighting based on their deranged convictions about Jihad, Islam and “martyrdom.” They are not fighting for Jawlani. They are fighting so they can have lunch with Muhammad in heaven. They are sick and twisted and they will never be truly defeated until their philosophy is no longer disseminated to impressionable children by Islamic religious and political leaders. Islam itself needs reform. What I don’t understand is how can an Israeli helicopter go inside Syrian airspace and then ship out a militant leader like this? If Israel can just pop in to Syria and take out a Wahabi leader like this then what else can they do? How many more times can Israeli helicopters go inside Syria? I’m curious as to how all this works. Ziad, like Osama, al-baghdati ( couldn’t give a flying fk if I misspelt his name) and this baboon, if they were still alive then why not show themselves in a new video holding up a recent newspaper?, voice recordings can be done today and produced at later dates, I will NEVER take a voice recording as proof of one being alive. So as far as I am concnerned until this baboon does a video then he’s a dead duck. Well it seems this site is hacked again, all the down votes to all the regulars, just ignore them and keep on going folks, a big Happy Birthday to our friend President Putin. These jackasses from the secret services stopped harassing me for 1-2 weeks now and also stopped slowing down my PC so much all the time. This means they are PREPARING for something big to happen any moment. By the UK + USA I mean then. Be on your guard Korea, China, Russia, Iran, Syria, etc! Is a post flagged for moderation mean that is is lost? 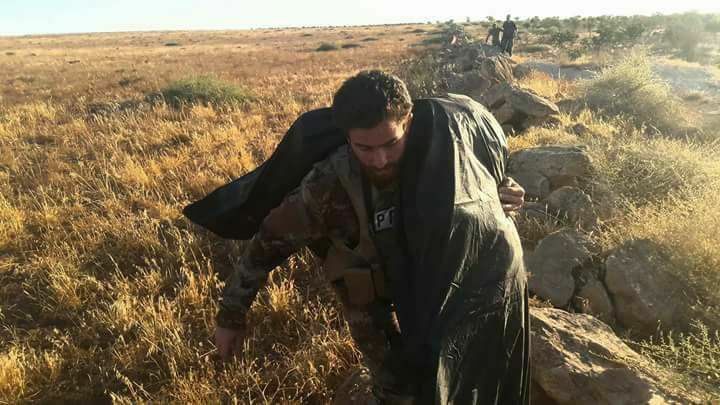 Journalist “Mudar Hassan” finds the body of his friend and SAA officer Qalamoun Shield Forces who was martyred by ISIS 5 months ago & carries his body on foot for 3 km for proper burial. IRGC, Major General Mohammad Ali Jafari He went on to say if the US government is truly considering to include IRGC in the list of terrorist groups, the IRGC will treat US army in the same vein as ISIL terrorist group. By the way, I will be releasing a very interesting article sometime this week. Stay tuned. By the way, I will be releasing a very interesting article sometime this week. Stay tuned Amigos. The leader of Hezbollah claims that Washington is using its Air Force to protect Daesh terrorist group in Syria from the Syrian Armed Forces. “The United States protects Daesh in several Syria’s regions and prevents the Syrian army to end with the terrorists, by using aircraft,” Nasrallah said Sunday, as broadcast by Al Manar TV channel. Video shows Russian ISIS captives Zabolotniy and Tsurkanu minutes after capture. Roman Zabolotniy seen trying to talk to IS fighter, claiming he worked with maps and has info on weapons. Grigoriy Tsurkanu is seen from the back, blindfolded. Apparently a Syrian soldier lies near Tsurkanu. Roman Zabolotniy claims they were going to the HQ for information and never went to Deir-ez-Zawr. 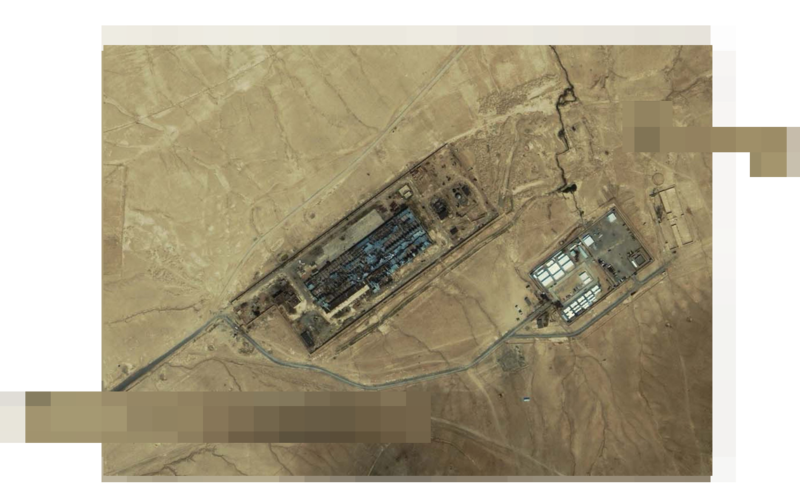 A quick take on IS prisoners & Russian plausible deniability. Very interesting article on moonofalabama today. the sultan -once again- go back on his word and decide to renew his alliance with Al-Qaeda rather than to comply with the Astana agreement. Govt forces have cleaned three quarters in Deir Ezzor . Lots of ISIS corpses killed by SAA were found in the empty houses. Between July 9, 1953 and Aug 1, 1953, six kilograms of zinc cadmium sulfide was sprayed onto unsuspecting citizens of Winnipeg from U.S. Army planes. The Army returned 11 years later and repeated the experiments in Suffield, Alta. and Medicine Hat, Alta., according to Lisa Martino-Taylor. Even in Canadian and U.S. documents, the tests were referred to as biological and chemical, when documents suggest they actually involved combining the two with radiological components to form combination weapons. Posted pics of this SVBIED on a US base in Afghanistan a few weeks ago. A new jihadist group operating in Syria has been established and released a statement announcing itself. 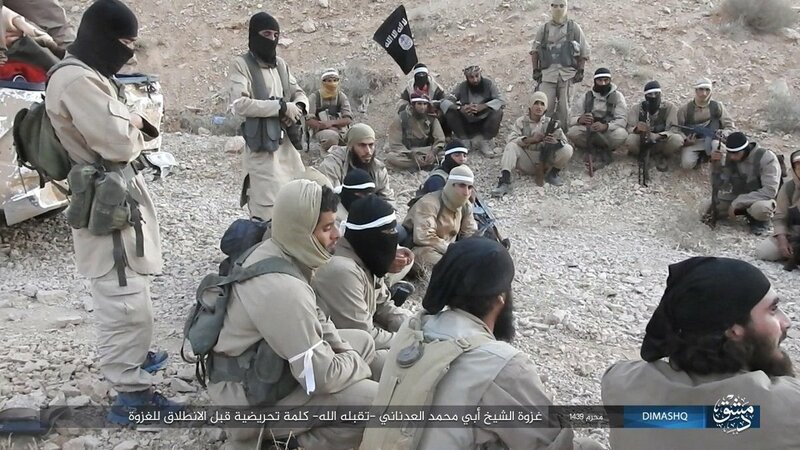 The group named “Ansar al-Furqan fi Bilad al-Sham” are based in jihadist-held Idlib province in Syria’s northwest. In a released statement as seen above, it has declared war on Turkey and the Free Syrian Army, and is believed to be consisted of the core of Al-Qaeda in the region. The group has received the blessing of Al-Qaeda’s leader, the Egyptian Ayman -al-Zawahiri. 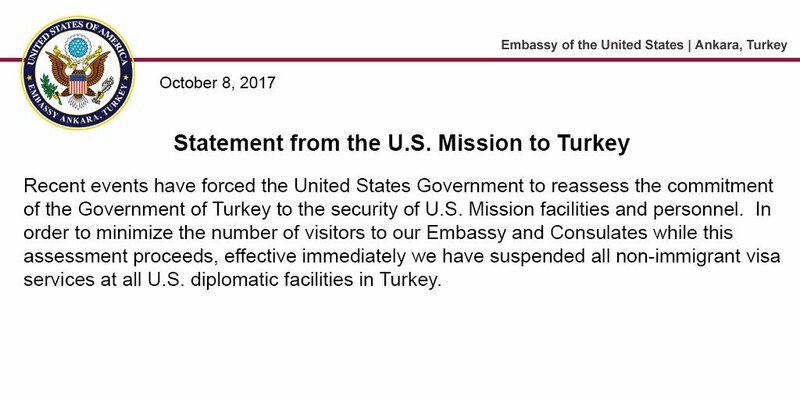 Anyone think the US is trying to create a pretext to move into Idlib now? From no ISIS now they are a major force in the area. 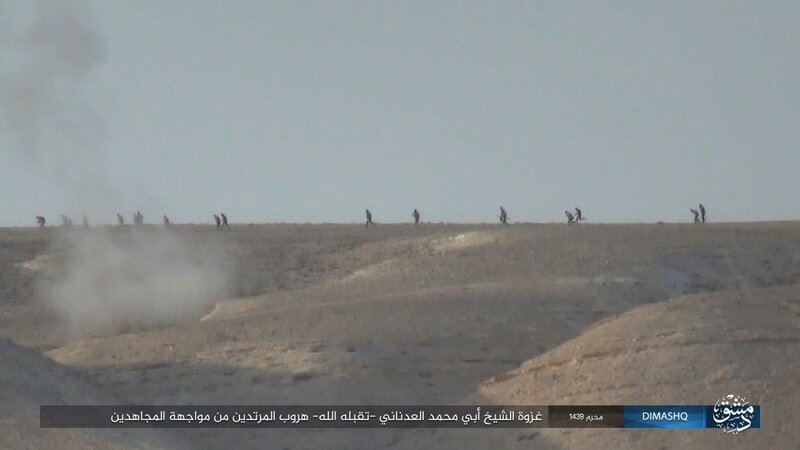 SAA Converges On Jihadists In Golan Heights. Syrian Kurds – asking Sypers > anyone with hard evidence of any Syrian Kurd factions (incl. SDF) actually organizing firing at SAA or its allies? Would not be surprised certain outsiders would like to orchestrate a bloody civil war in Syria of SAA vs. Kurds, if necessary enabling false-flags to accomplish. Question is > any hard evidence on the ground. Hope not. Thanks. Mike. 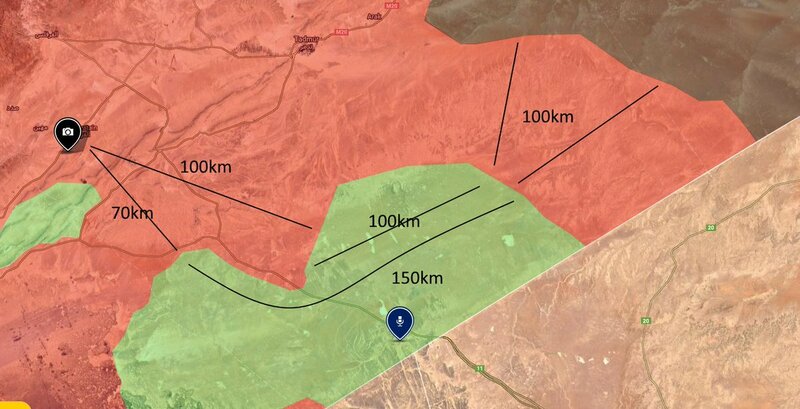 ENTERED government territory UNDETECTED, to then travel a further roughly 70km to reach Qaryatayn – very unlikely and can be dismissed. Two Americans who fought in Raqqa, Kevin Howard and Paul Hetfield, are being held in Tel Tamir, Syria by their own Kurdish YPG unit. But why would a willingness to kill make you want to treat someone BETTER? People are less willing to kill bees than they are to kill flies. They know that, if they kill a bee, other bees might attack them. Same idea. If you kill or mistreat a Maori, other Maoris might kill you. If you kill or mistreat someone with less ability or willingness to kill, it’s more likely you’ll get away with it. Well it seems this site has been hacked again, no more posts from Ziad, Canthama have you heard anything?, How about as someone else suggested we converse on another site, Like AJ’s blog as a back up?. Also as below, like we already didn’t know this, it also seems were are much further ahead with the detailed news more than any other site I’ve read, good work Syrper’s. (syrianperspecitive.com) does not work for many, including me – but Syper site easily accessed via > syrianperspective.com/2017. In several months the year 2017 is over, so wondering if has been decided how Syper site accessed thereafter. A /2018? Additionally > any plan to resurrect the original syrianperspecitive.com. Just asking, since SyperPers is such a great place. Thanks. Mike. This is the best explanation that I have read regarding trump’s obsession with the NFL.It is not a distraction from a clown, it’s a way to mobilize his supporters behind a flag (blind obedience) in order to justify a major war against Iran. Pavlovian conditionning. I agree 100% with MIchael Krieger, he nailed it. 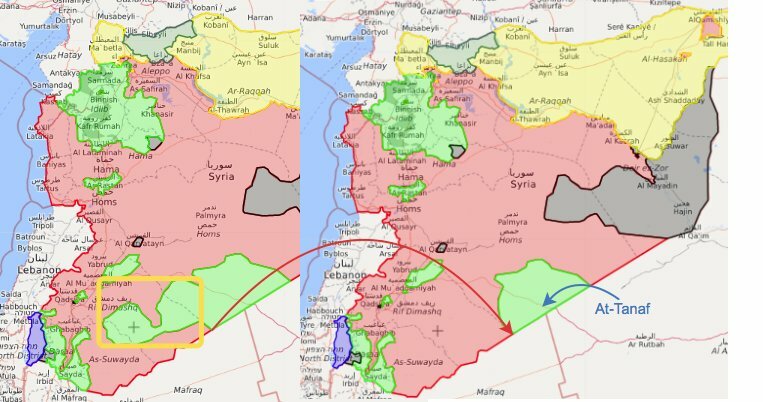 700 square miles repossessed from US annexed Syrian lands.. What now? May your God and mine be with Syria and her allies.